Item Number: 170-12-26 17780 Actual Weight: 2.5 lbs. Convenient Pop-up Edge for fast and easy peeling; just bend the sheet to expose the label edge and peel! 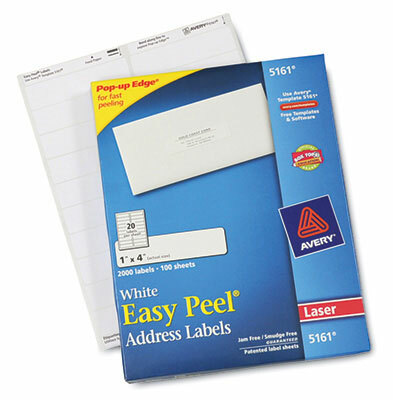 Bright white labels enhance print quality.